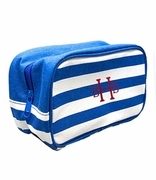 Fashion cosmetic case in a classic shape that is always in style. 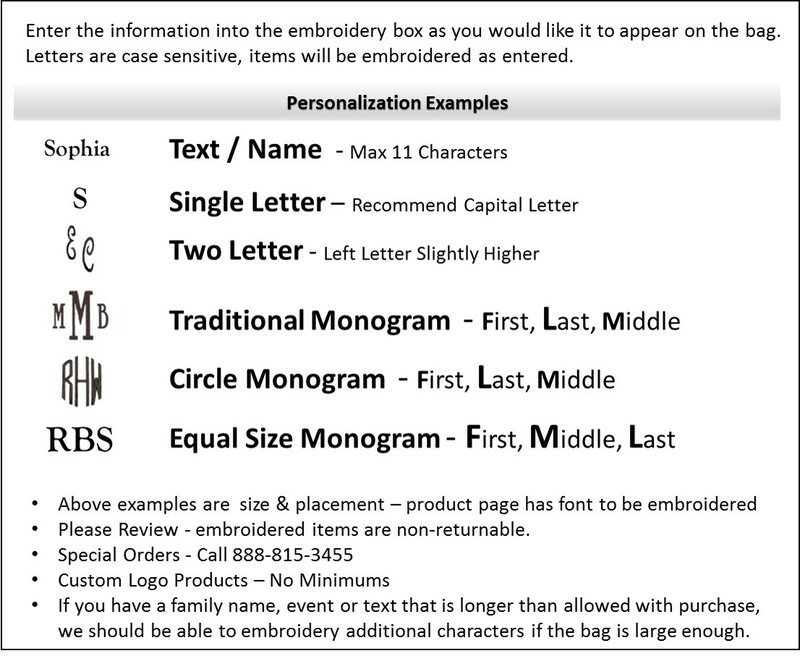 Personalize for a teacher gift, co-worker or friend. 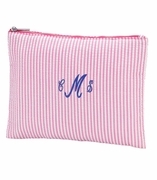 Roomy enough for all essentials but small enough for handbag or travel. Denim cotton fabric with a faux leather corners accented in brown trim. 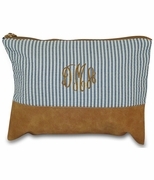 Cotton canvas cosmetic measures 11" wide x 9" height, with envelope style bottom. 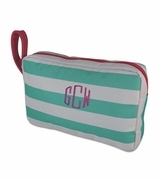 Lined with navy and white striped fabric, zipper closure.